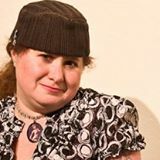 On Sunday, December 18th from 12-2pm, join Left Coast Writers® Live on FCCFREE RADIO’s popular show, Lilycat on Stuff. Lilycat’s guest on Sunday will be Wanderland Writers. It’s interesting that the Wanderland Writers generally tend to head south in their explorations, and nowhere was the southerly route more rewarding than in Andalusia. On this latest adventure, workshop leaders Linda Watanabe McFerrin and Joanna Biggar led the writers on a search for the soul of Southern Spain. Along the way they discovered a country ripe with contradiction: an arid landscape filled with lush gardens; the practice of elaborate Christian rituals in churches echoing a rich Islamic past; a land of bullfighters, gypsies, poets, philosophers and scholars; a place where duende and alegría coexist. As they spread out in this inviting territory, they encountered—and wrote about—Columbus and the Christian Monarchs; tapas and toreadors; sherry and sangria; caliphs and communists; flamenco and, yes, flamingos.